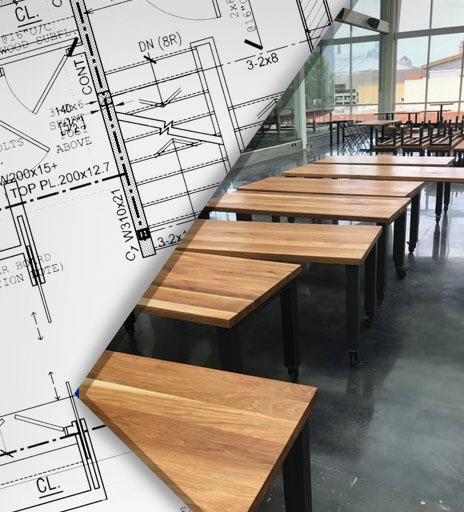 We design, fabricate, and install custom wood furniture for restaurants, bars, and homes. A leader in the building and renovation industry for over 25 years, you can expect the highest quality end products and complete satisfaction when you work with Lechner. Our entire team of designers, machinists, and carpenters are passionate about woodworking and excited to bring your vision to life. We use 3-D design technology to give you a first-hand look at your project and ensure it’s exactly what you want before any CNC and woodwork begin. Let’s get started on your design, call us today! We often work alongside architects, general contractors, and interior designers; bringing the wood furniture and fixtures in their design to life. Our team is qualified to spearhead project designs too and more than happy to work directly with home and business owners to achieve desired results. Our talented carpenters and CNC experts make an incredible team, and are capable of bringing even the most complex ideas to fruition. 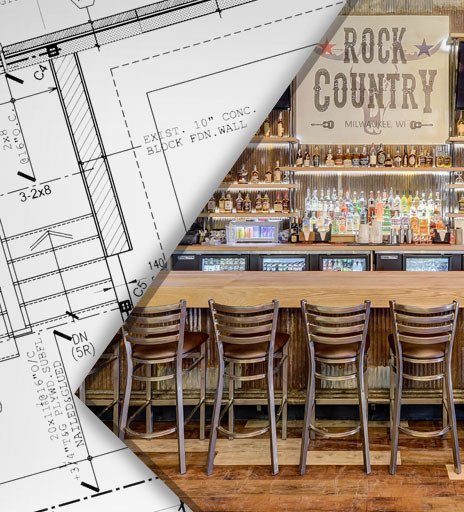 We have a vast project portfolio with a range of millwork and wood furniture including: staircases, table tops, chairs, booths, bars, signs, hostess furniture, liquor display cases, cabinets, architectural elements, and more. Let’s discuss your residential or commercial project – contact us! Lechner is a great choice for Commercial Millwork Services in SE Wisconsin. Get a quote on your project – call us! We’re located in Waukesha and provide our custom woodworking services to clients across SE Wisconsin. If your jobsite is in or around Mequon, Menomonee Falls, Whitefish Bay, Wauwatosa, Milwaukee, Waukesha, Delafield, Pewaukee, Brookfield, or New Berlin; we want to hear from you. Give us a call at 262-955-6688 or contact us online.